Aria Acoustic Electric guitar in excellent condition and shows only minimal general wear attributable to prior use. Guitar includes a bag. 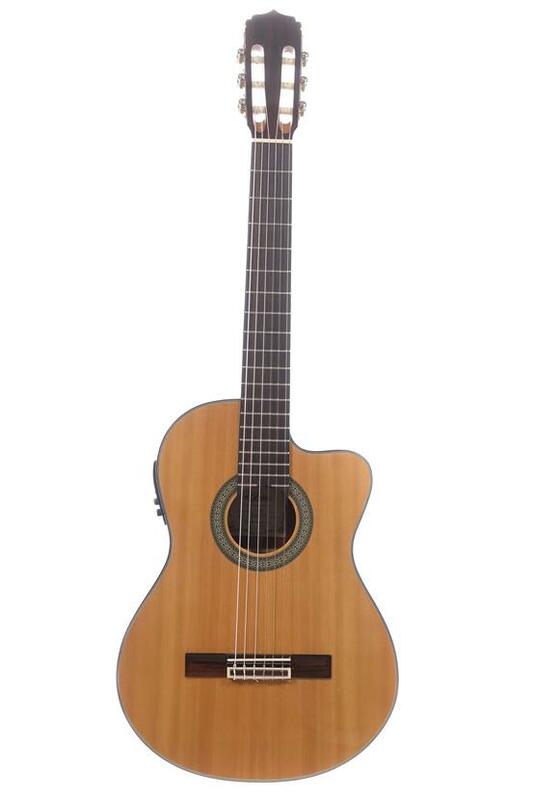 AK-30CE is a single cutaway classical guitar with spruce top, sapele back and side. Equipped with Aria AEQ-4 which offers 4 bands tone control and guitar tuner.